You could call this the biography of a Major League spy. "The Catcher Was a Spy" tells the story of Moe Berg's life. A Princeton grad who spoke multiple languages, he turned his attention to professional baseball, playing for several teams over 15 seasons. When World War II began, he volunteered for the OSS, the agency that became the CIA. The agency sent him to Europe to determine Germany's progress on building an atomic bomb. That included tracking German physicist Werner Heisenberg for possible assassination. "The Catcher Was a Spy" allows Paul Rudd to stretch his acting muscles. He plays Berg as a classic outsider... Jewish, intelligent and possibly bisexual. A good cast includes Jeff Daniels as the OSS chief, Paul Giamatti, Tom Wilkinson, & Giancarlo Giannini as physicists, plus Guy Pearce as Berg's military support, Sienna Miller as his unsatisfied girlfriend, and Mark Strong as Heisenberg. Many of the German accents aren't very good. The music often overwhelms. The film ends with multiple updates, as if the script left out too much. The production feels like a made-for-TV movie; but I found the story fascinating. I went home and read up on Berg & Heisenberg, a sign this did something right. 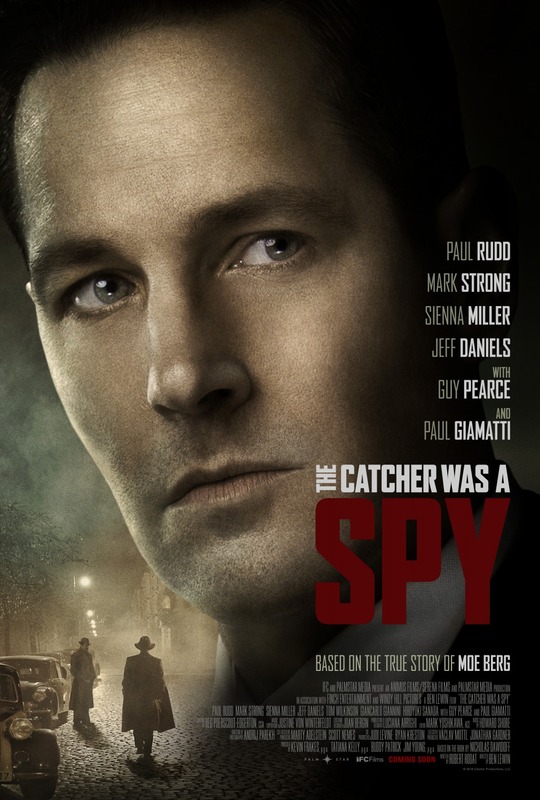 "The Catcher Was a Spy," rated "R," 2½ stars. Does it deliver what it promises? Interesting World War II story. Is it entertaining? The story covers poor production. Is it worth the price of admission? Not a waste of time.